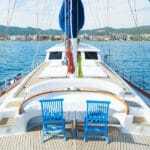 One of the most important facts in hiring a gulet charter in Turkey, is getting the best price. But what does getting the best price really mean? 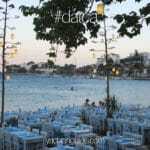 You shouldn’t think about this type of holiday as trying to get the cheapest gulet. If you do, the resulting gulet could turn out to be quite disappointing for you and your group – and that’s the last thing we all do not want to happen. You should think about getting more gulet for your money instead – at least what you budget will allow for. This is where your help is needed in order for the yacht charter agent to fulfill this task to the best of his or her ability. The primary first step is knowing how much you can spend for a one week vacation on board a Turkish gulet charter. Now depending on the gulet boat charter, or rather the class of gulet, jet skis and water skis could also be included in the gulet rental price – such as it is in some ultra deluxe and vip gulets (excluding fuel). Hypothetically, if you expressed to your yacht charter agent that your budget was 10,000€ for one week and your group was a total of 10 people. 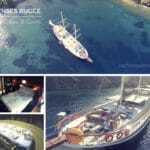 The agent would understand this as just for the rental of the 10 person boat, but would make offers between 8,000€ – 12,000€ per week, in gulets that have a capacity between 10 – 14 passengers. 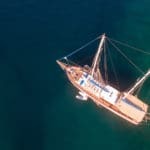 But if you mentioned that you wanted to hire a gulet with meals included and had 10,000€; then your charter agent would shortlist their offers according to this criteria – which would be gulets that accommodate up to 10 – 14 people with blue cruise menu included in this price range from 8,000€ – 12,000€ for a week. In both cases, the agent will look to filter gulet offers not based solely on their list prices, but what best prices they can negotiate with the owner / agent on gulets that are higher than your budget but offered at either the same to match your budget or even lower. The clearer you are in how much you can truly spend on your gulet rental, the better the results can be. If you actually have a higher budget than what you already mentioned, express this to your agent. It will turn out better for you in the end. All in all, whatever your budget may be, even if it is high, it is always good to get as much for your money as you possibly can, so that you can allow for spending on other nice things during your yacht holidays in Turkey!